Brazil is getting a next-gen plant-based burger of its own. 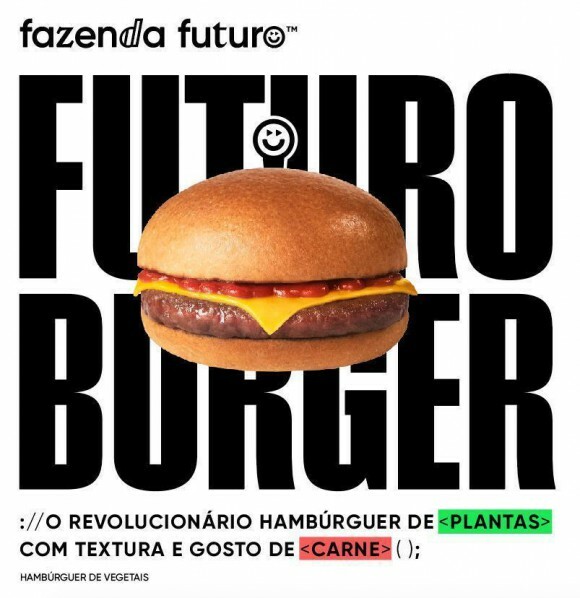 A new company, Fazenda Futuro, announced today that it is pioneering beef-sans-cow in Brazil with the plant-based Futuro Burger. Its first product, the Futuro Burger, is made of pea, soy, and chickpea. It will launch in restaurants and at retail in late April at a suggested price of BRL 16.99 (about 4.5 USD)—a competitive price tag relative to the highest quality burgers on the market in Brazil today. Fazenda Futuro’s starting production capacity will be 20 tons per month, with plans for broad product distribution over the next few months. GFI Brazil has been working with Fazenda Futuro founder Marcos Leta from the project’s inception. We are proud and delighted to see the Futuro Burger roll out in the Brazilian market. Around the world, consumers are embracing plant-based meat that looks, cooks, and tastes like conventional meat, and the category is growing rapidly. Plant-based meat requires only a fraction of the natural resources required to produce conventional meat. As an example, the life cycle analysis of the Beyond Burger by the University of Michigan calculated that producing the Beyond Burger uses 93% less land and 99% less water and causes 90% fewer greenhouse gas emissions than producing a conventional burger. Now, with the Futuro Burger on the market in Brazil, Brazilians too will have the opportunity to opt for a meal that satisfies the burger craving—minus the cholesterol and giant climate footprint. Interested in learning more about the market for plant-based meat, eggs, and dairy in Brazil? Check out our market report for Brazil!